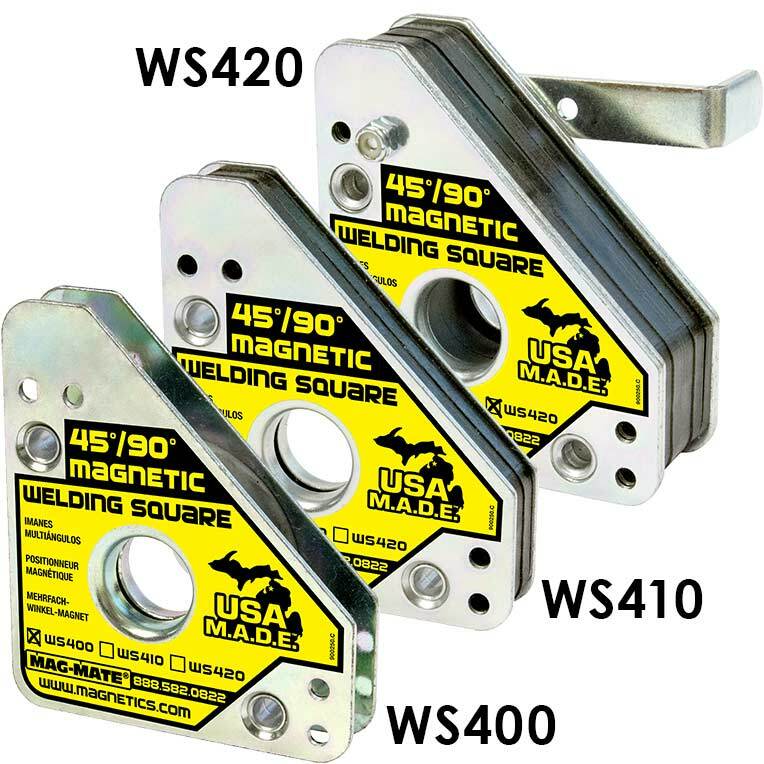 Our standard Magnetic Welding Squares are now made in the USA! 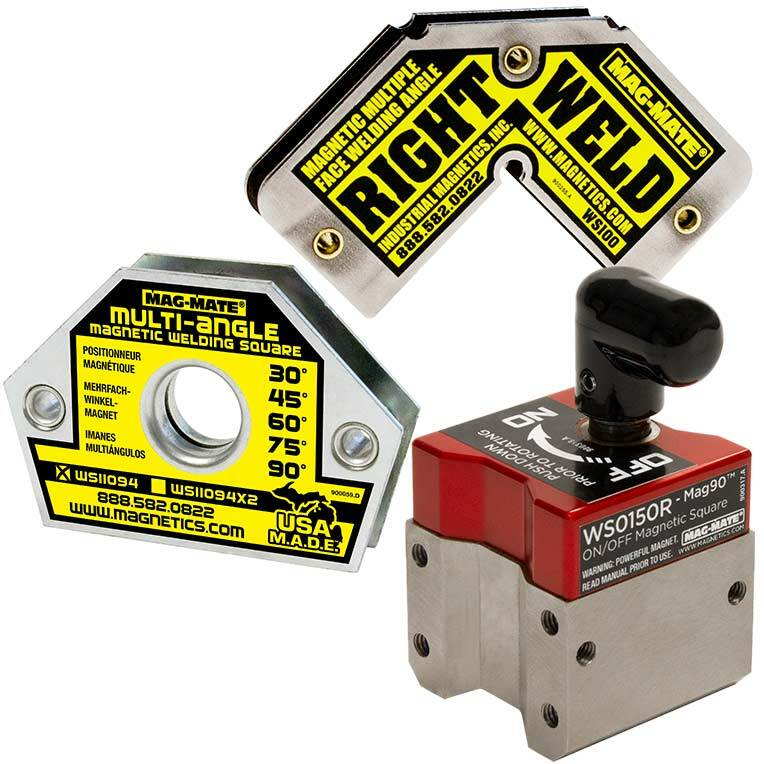 Ideal for welders that need fast set-up and accurate holding of sheet stock or tubing. 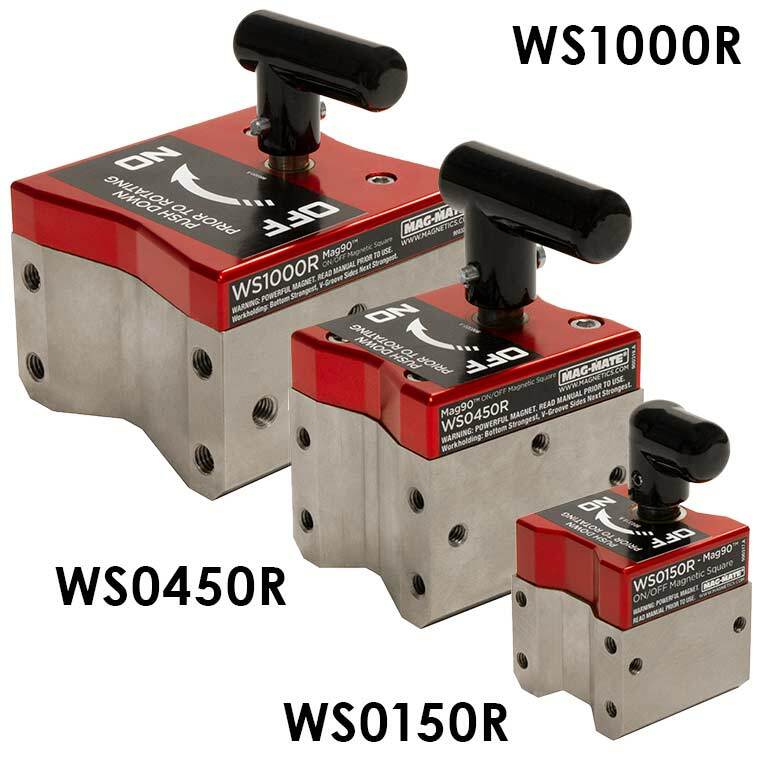 Ferrous stock can be securely held at angles of 30°, 45°, 60°, 75°, 90° and 180°. 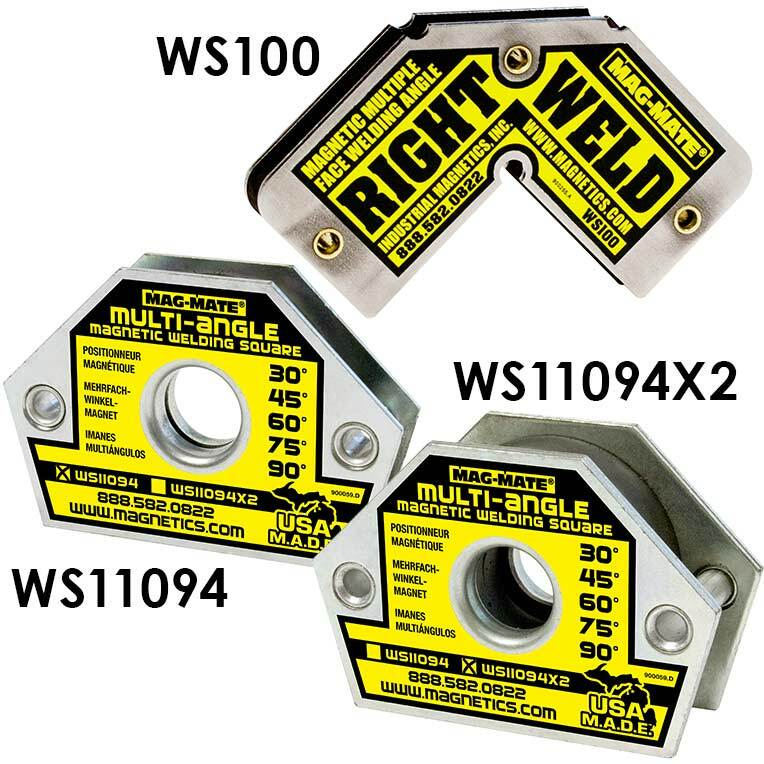 Mounting holes are provided for fixturing squares into jigs. 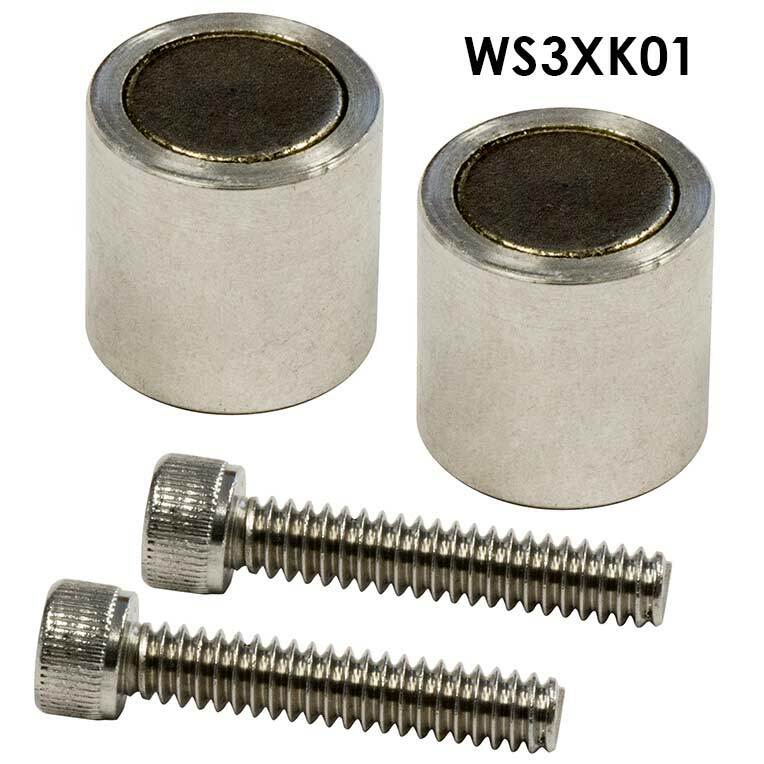 The 3-Axis kit (WS3XK01) uses powerful permanent Rare Earth magnets inside an aluminum cup to hold a third steel surface during welding operations.The kit fits all standard "Always-On" Mag-Mate® welding squares. 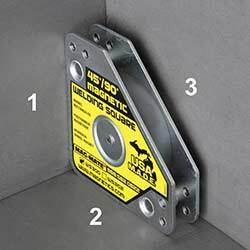 Kits include magnets and mounting hardware (Weld Square sold separately). 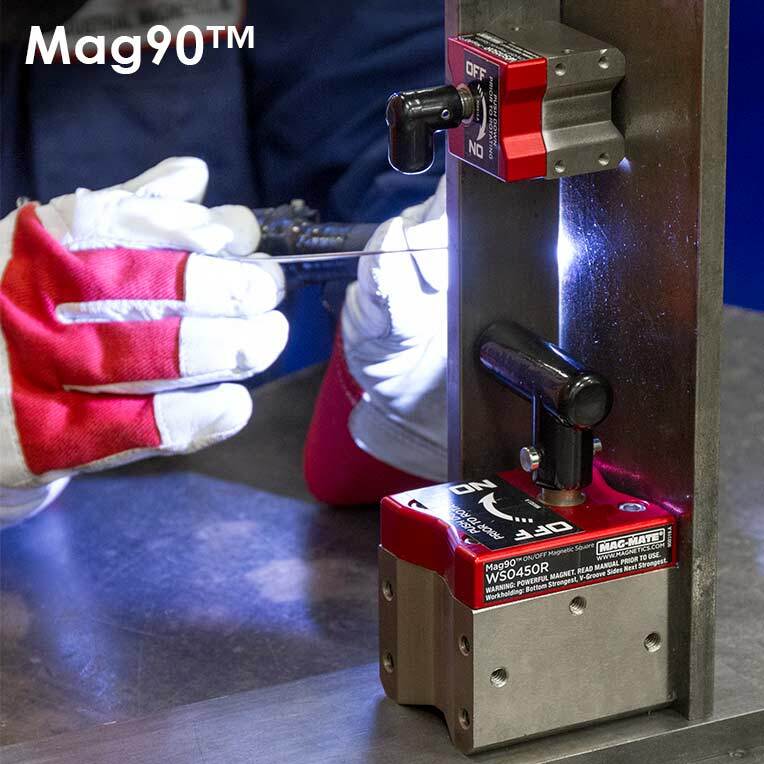 The switchable Mag90™ On/Off Permanent Rare Earth Magnetic Squares are extremely powerful and eliminate the need for tedious clamping. 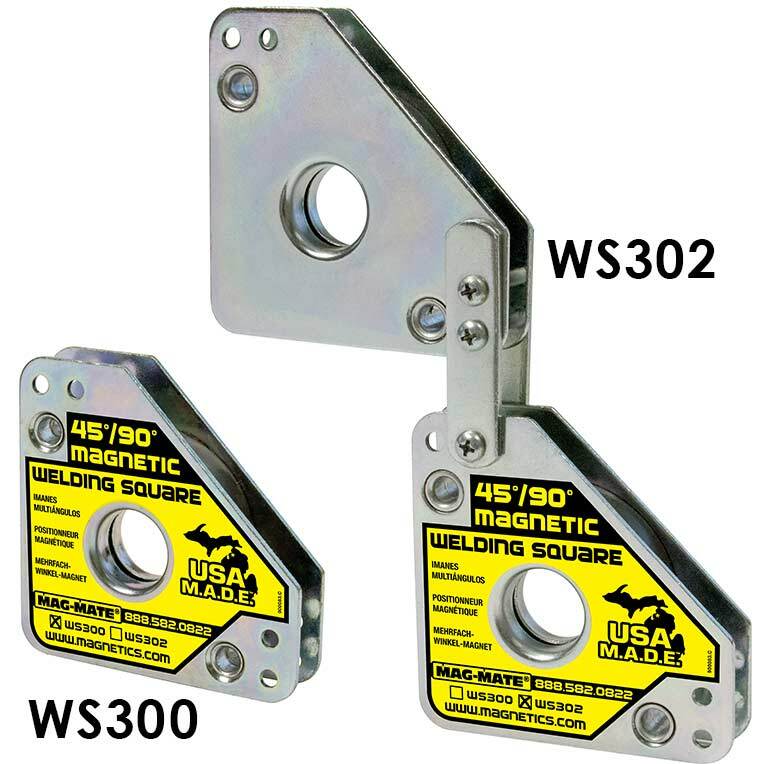 These squares offer fast work-holding on multiple sides for flat or round steel. 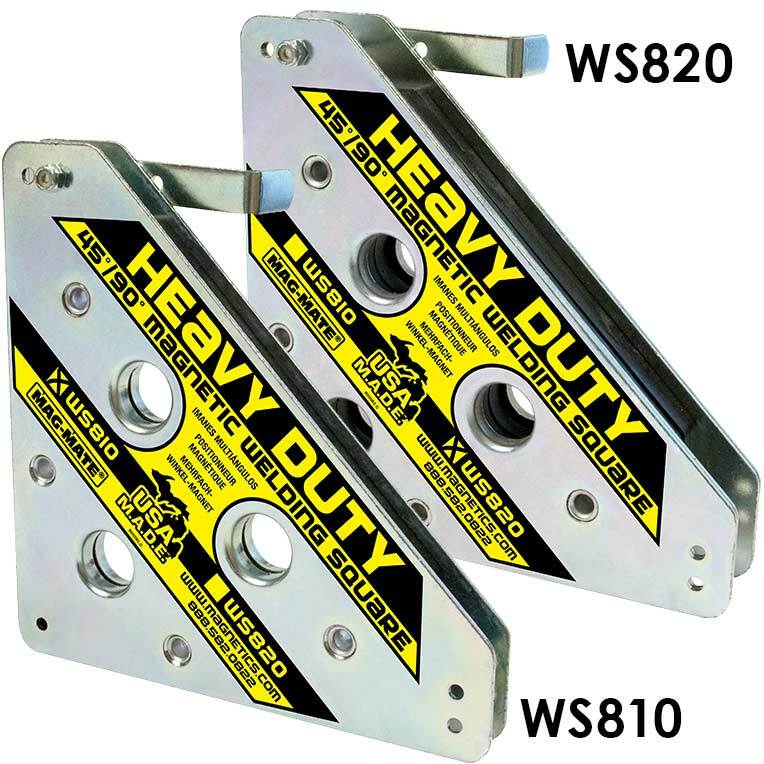 Features pre-tapped holes on all sides for mounting and a locking On/Off handle for safety. 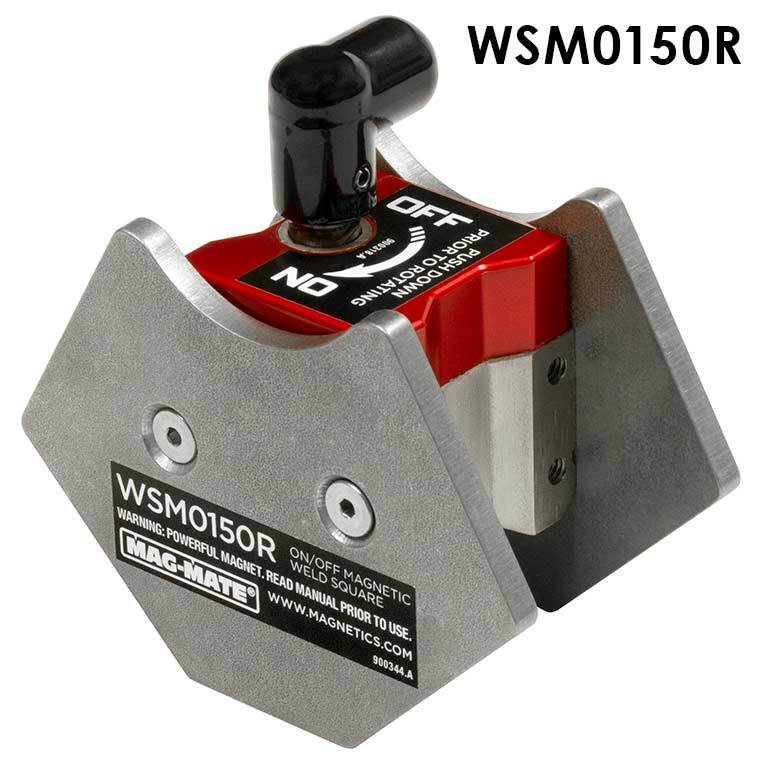 The WSM0150R and WSM0150RG feature 5 common angles: 45, 75, 90 105 & 135 degrees. 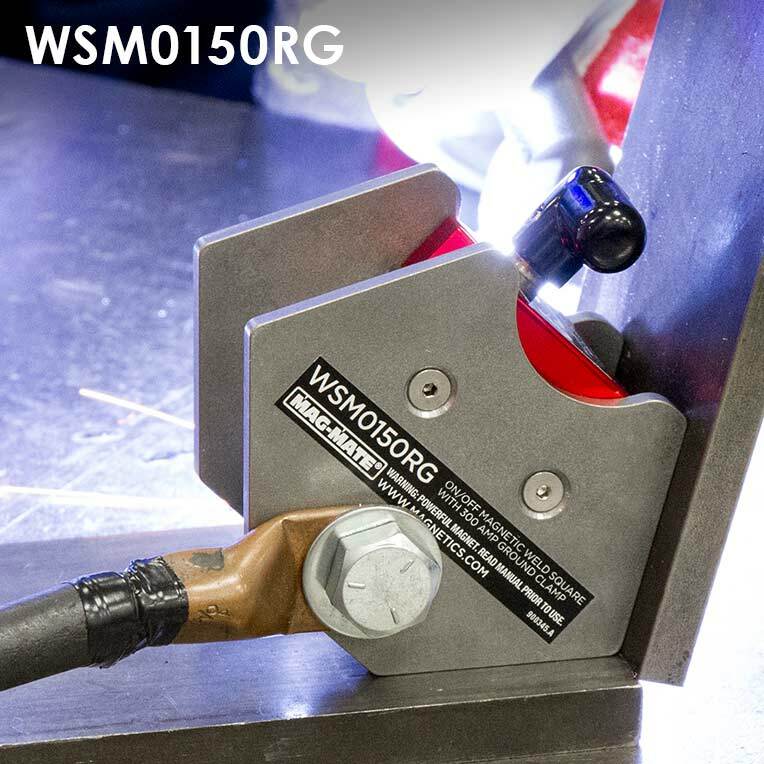 The WSM0150RG is dual-purpose as a weld angle and a 300 AMP ground. 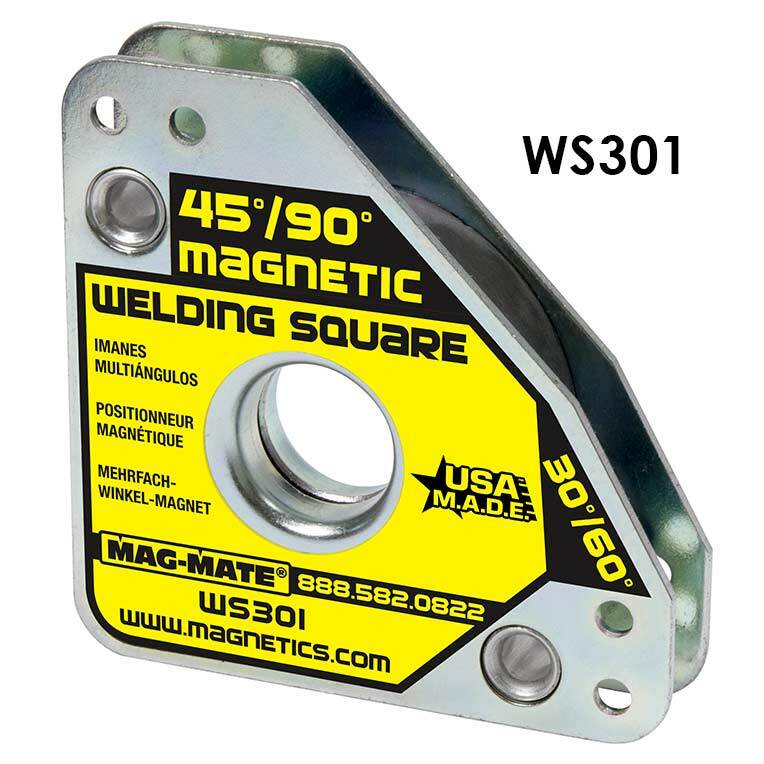 WS3XK01 5.3 3-Axis Magnetic Kit Fits all standard "Always-On" style Mag-Mate® welding squares. Includes two sets of magnets and mounting hardware.